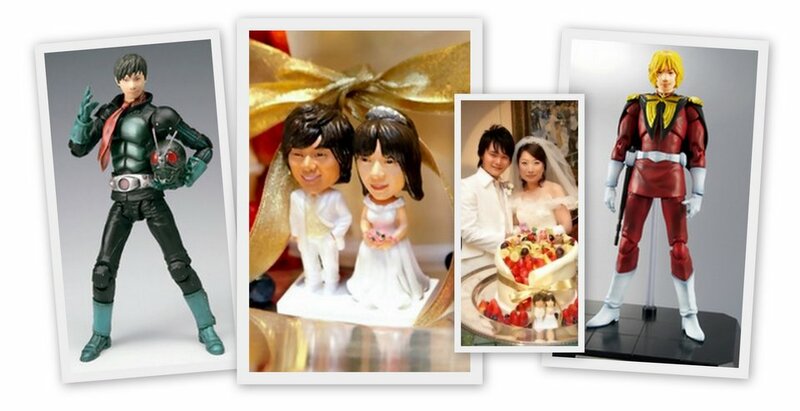 Recently, a number of couples getting married have been ordering original Figures to be made in their likeness to mark their special occasion. Usually they make just the bride and groom, but it is also possible to include other guest members in the creation. Whilst the companies have been offering this service for a while, they have been experiencing increase demand and have started advertising their service on the web. The myfigure.jp Site has a number of good options. 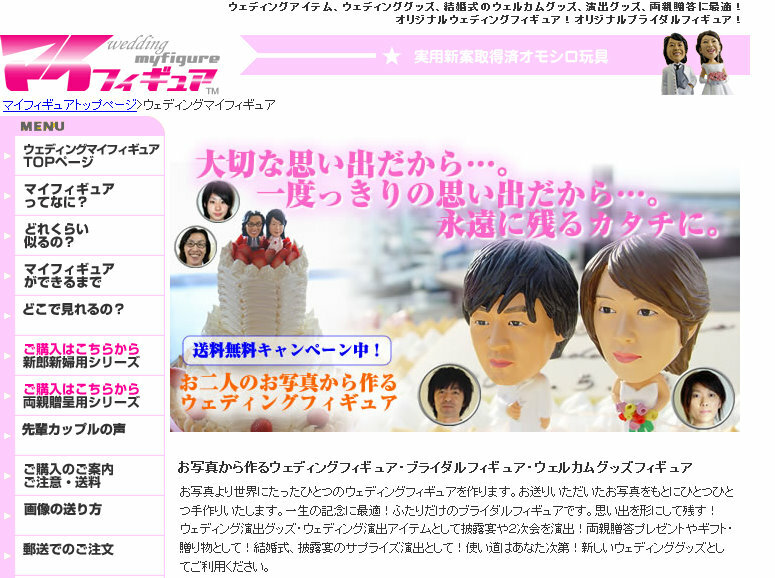 The myfigure Site gives a good example of how they take the photograph and then work it into an original Figure. In addition to wedding Figures, you can also make an original Figure for sports and other events. Would you consider making an original Figure of yourself and your partner? Heck Ya! I love this stuff. Is the figure on the wedding cake edible? 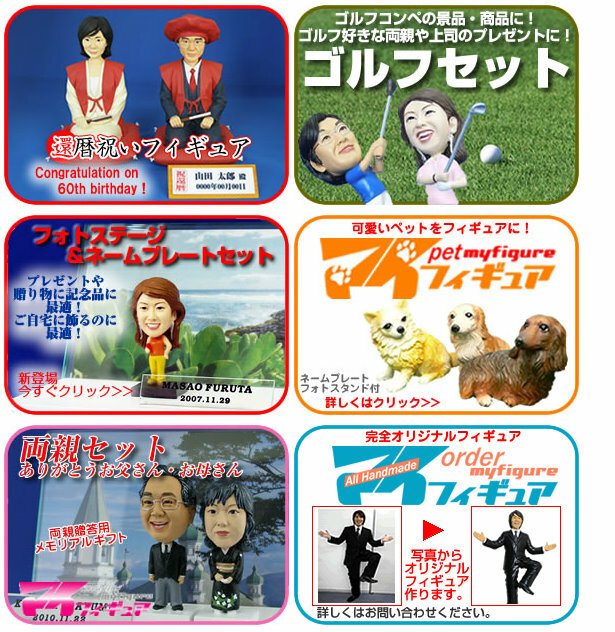 RT @tweetmeme Japan My Figure Boom, Japan Figures http://bit.ly/c4OGhY I don’t think my wife would. But I would’nt mind. I would have one done with the character from Bleach 11th Squad Captain Kenpachi Zaraki. This is a cool idea. I would have some done of my daughter and my Whippet dogs! 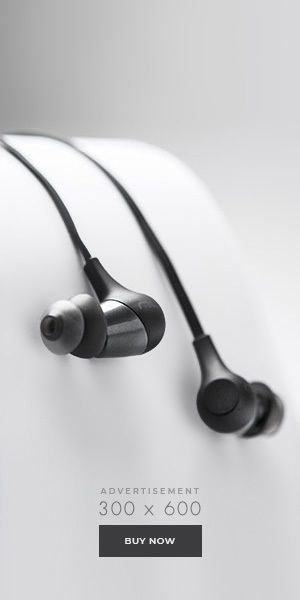 I would so get one of those done……..